In the peak of a self-realization moment, I couldn’t help but think: Dang it, winter will soon be gone. I quickly switched my thought to all my goals I just scribbled on my list at the top of the new year. And no, it wasn’t the typical lose weight, save money mantra. This year I wanted it to be different because it was in fact, different. A lot of things changed in my mindset and day-to-day life at the end of 2017. For me, I can now see it was gearing me up for a fulfilling 2018. All of the hardships, mistakes, over-consumption, vanity, and outwardly-conscious living put me in a state of emergency and my mind, body, and soul were literally crying for help. So, I did the typical millennial thing and took to social media to see how others were living their lives. I thought: Hey, maybe someone can inspire me on how I wanted to continue my new journey and accomplish my goals. I purposefully looked for meaningful individuals and lives who were consciously, holistically and unapologetically living… and what I discovered, was so much more. Created by three holistic leaders in the wellness community, Francheska Medina, Maryam Hasnaa and Yeradmi joined forces to bring healing and enlightenment to cities across the world in 2017. Touring from Chicago to Chile, the triad made journeys from the U.S. to international waters to spread their developed practices and spiritual guidance. This enlightening tour’s 2018 dates are coming soon and tickets always go fast! Stay updated on the release of their next stops on their site www.supernaturalpopup.com. If you want to get pumped and gyrate to the sounds of Beyoncé while also pedaling at 15 miles per hour, go to a KTX Fitness class! Created by Keith Thomson, KTX Fitness is actually a popular gym based out Atlanta. To promote confidence and fitness, he takes his step and cycle classes around the world on a major city tour. Talk about great marketing! On his Los Angeles stop, I decided to pop-in to see what the hype was all about. The low-lighting with club strobe lights, bass-jumping hits, and crazy enthusiasm had me sold. Check out his Instagram to see his next stops and to get you pumped to live a healthy life! Find out more at www.ktxfitness.com. And what a bae she is! With a body of a goddess, why wouldn’t you want to go to her class? 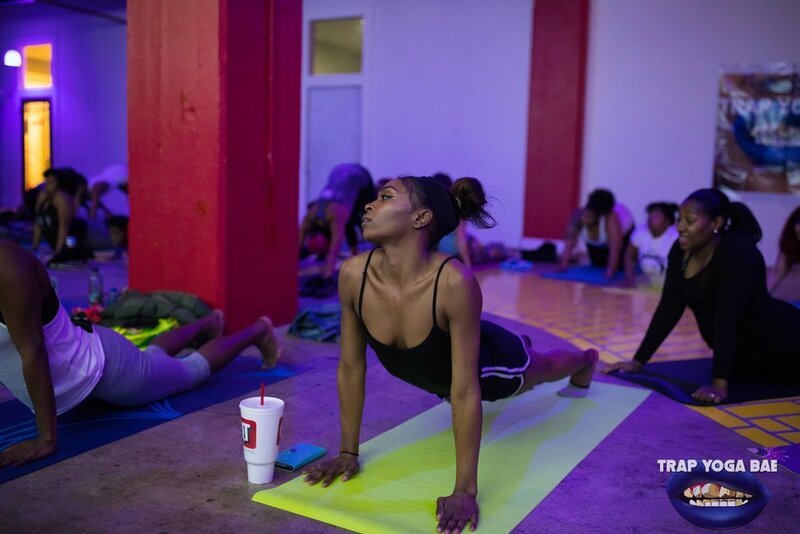 A Vinyasa-style yoga session infused with dope-boy music and #RatchetAffirmations, this experience is one for the yogis that like to stay turnt all the way through her lit guided meditations. Kicking off her 2018 tour, she’s making stops at Los Angeles, New York, Houston, and Atlanta with more cities to come. Check out her IG page to get tickets now and to scroll through her #bodygoals. Find out more at www.itsyogabae.com. Founder of Black Girl in Om and co-founder of Party Noire, Lauren Ash is a certified yoga teacher, writer, wellness advisor, and culture + lifestyle leader. Named at the top of ESSENCE’s list of “33 Self-Care Sistahs That Helped Redefine Wellness in 2017”, the Chicago-based spirited visionary spreads her practices with black women through local yoga + meditation pop-up sessions to city workshop tours and international wellness retreats. Visit her IG to get inspired and stay up-to-date on her next stops at www.laurenash.co. 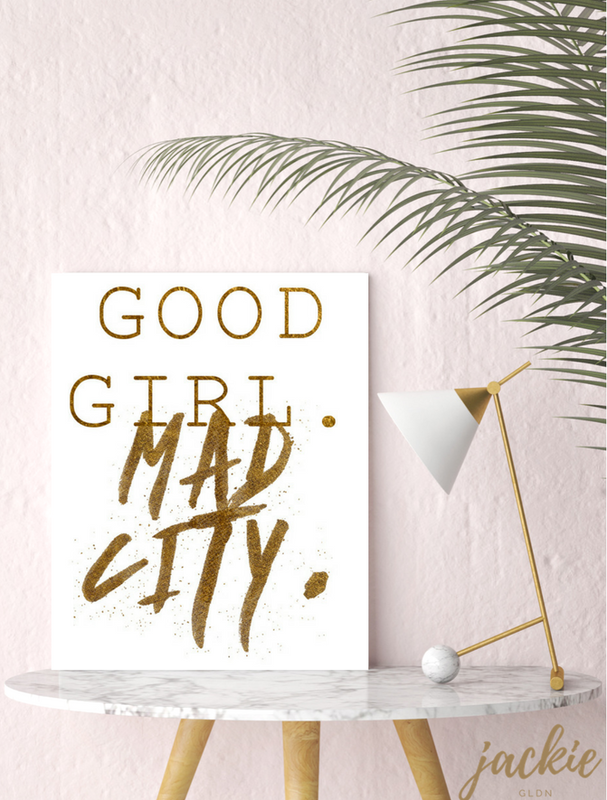 Founded by Miami native Shelah Marie, the Curvy, Curly, Conscious Tour connects self-love, personal development, meditation, and physical wellness with women nationwide. Bundled up into this experience is a platform of discussion, music, shopping, food, yoga, meditation, and great vibes. Their 2017 tour made stops through Miami, Chicago, Atlanta, and Los Angeles. Look out for their 2018 tour dates at www.curvycurlyconscious.com, they’ll be popping up soon!